This homeowner in Centerville, Mass., (Cape Cod), had a flood in his basement. 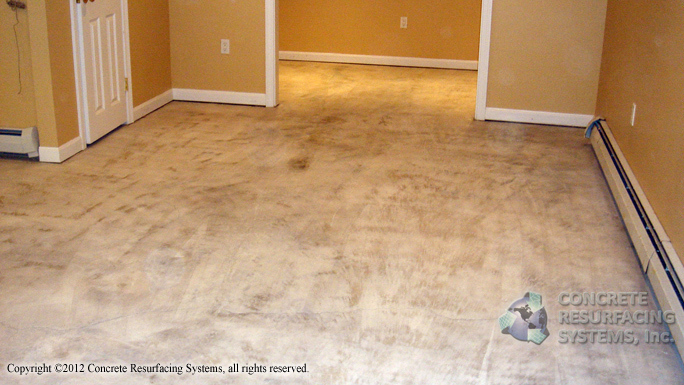 Since the home is in an area where flooding occurs occasionally, and chances are the basement will get wet again, the homeowner decided to remove all the carpet permanantly. 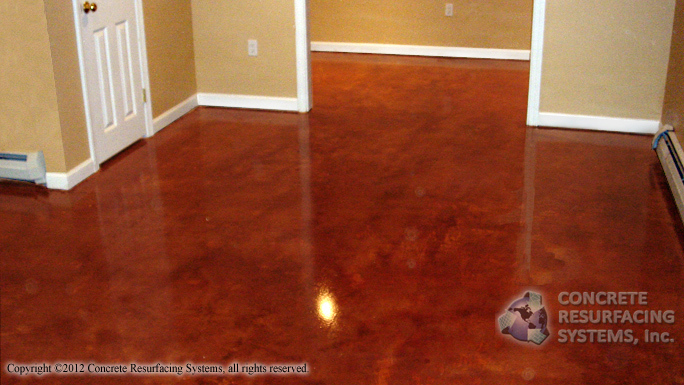 Concrete Resurfacing Systems prepped the floor by diamond grinding, then applied an acid stain. For a top coat we applied a clear moisture vapor barrier epoxy coating — We can’t prevent floods but our floors are easy to clean up after!